From the outside, you’d be hard pressed to spot the differences between a Euro5 Irizar i6 and the latest Euro6 examples now starting to enter service with UK operators, but they are there, as Stuart Jones and Andrew Fowler found when they tried Irizar UK’s latest demonstrator, a 12.92m long two axle model equipped with 57 i6 recliners and the MX11 engine rated at 369hp/271kW. This was, unusually for a 57 seater, equipped with the ZF Ecolife fully automatic transmission. 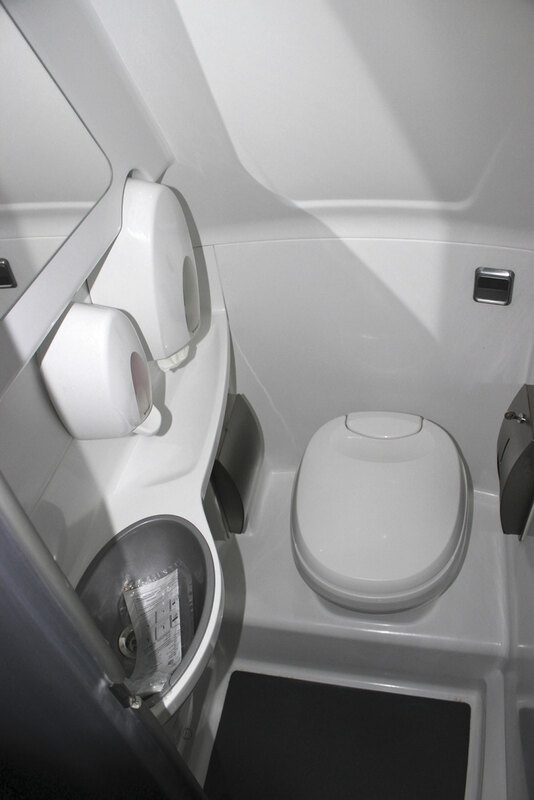 This length, capacity with toilet and the alternative ZF AS-Tronic is currently Irizar UK’s most popular coach product. Joining us during the evaluation was Irizar UK Business Development Manager, Julie Hartley. 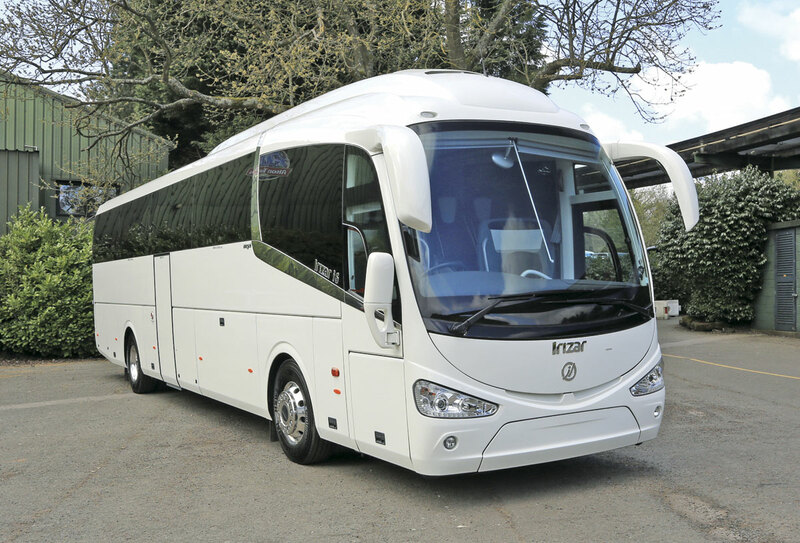 It’s a good looking coach is the Irizar i6; distinctive and attractively modern with a crisper look and no complicated crease line down the side like the adventurous PB from which all i-generation Irizars to date have taken their styling cues. Successor to the phenomenally successful Century (now only built for the Mexican market or special projects), it has rapidly become popular in both integral and body on chassis form. The success of the Irizar’s own integral range has surprised many, quite possibly including Irizar themselves, at least with regard to the UK market, and it has performed well with a growing list of high profile customers, quite a number of which have placed repeat orders. It is a right hand drive range with much more than just one model, with 10.78m, 12.2m and 12.92m options on two axles and 13.80m and 14.98m (a model nobody has yet bought) variants on three axles, and a 13.22m super high floor tri-axle to come soon. Six are about to be delivered to Lucketts (two), Stewarts (three) and Johnsons (one). The Euro5 i6 product has continued to sell well throughout 2014 and into this year though the final examples are now taking their places in customers’ fleets. In its place the Euro6 i6 has a lot to live up to. The big change is the use of the Euro6 DAF/Paccar MX11 10.8-litre engine in place of the Euro5 DAF/Paccar PR265 9.2-litre unit that was previously standard in the i6. The new unit is a vertically mounted in-line six-cylinder that is both turbocharged and charge cooled with a 123mm bore, a 152mm stroke, a Compact Graphic Iron (CGI) block, CGI one-piece cylinder head with double overhead camshafts, an electronically driven crankcase ventilation system and 2500bar common rail fuel injection with block integrated high pressure unit pumps. It has a dry weight of 1,025kg. DAF offers five different MX11 power outputs at Euro6, starting at 286hp/210kW, and proceeding through 326hp/240kW, 369hp/271kW, 396hp/291kW up to 435hp/320kW. The standard option and the unit specified in our evaluation coach was the 369hp/271kW which achieves this performance at 1,650rpm and peak torque of 1,600Nm at 1,000-1,650rpm. The 396hp (1,900Nm) option will also be offered from the MX11 range but Irizar UK do not envisage offering the 435hp (2,100Nm) variant because the MX13 range starts at 412hp/302kW, although the 12.9m coach is currently only available with the MX11. There is a price supplement for higher power ratings than the 369hp and vehicles with uprated power levels also receive modifications to some other mechanical parts. With the change in engine and the very considerably heightened emissions requirements comes a larger and more complicated aftertreatment system that incorporates SCR (selective catalytic reduction), a diesel oxidation catalyst (DOC), a diesel particulate filter (DPF) and EGR (exhaust gas recirculation) systems. 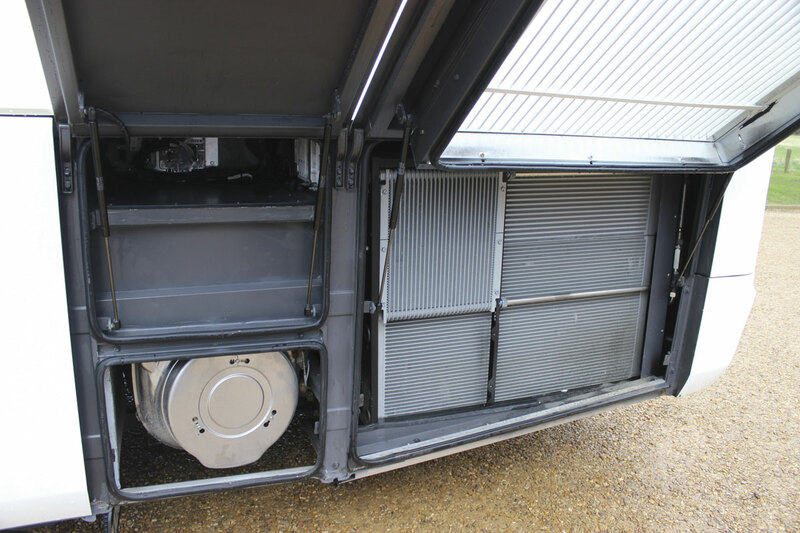 These are mounted within stainless steel cans that are located behind a locker flap to the rear of the nearside wheel, ahead of the radiator/intercooler (SCR) and the rear of the offside (DOC, DPF). 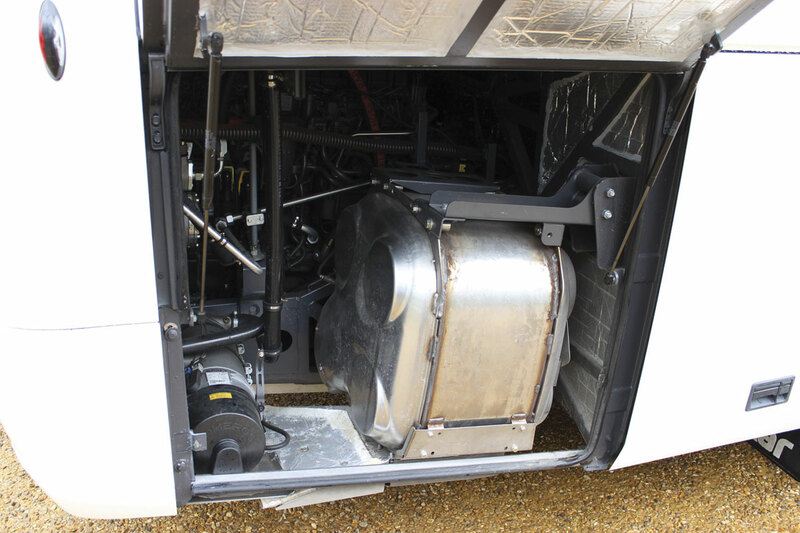 The design of the system is such that the SCR and DPF can be mounted separately or together as on this vehicle. 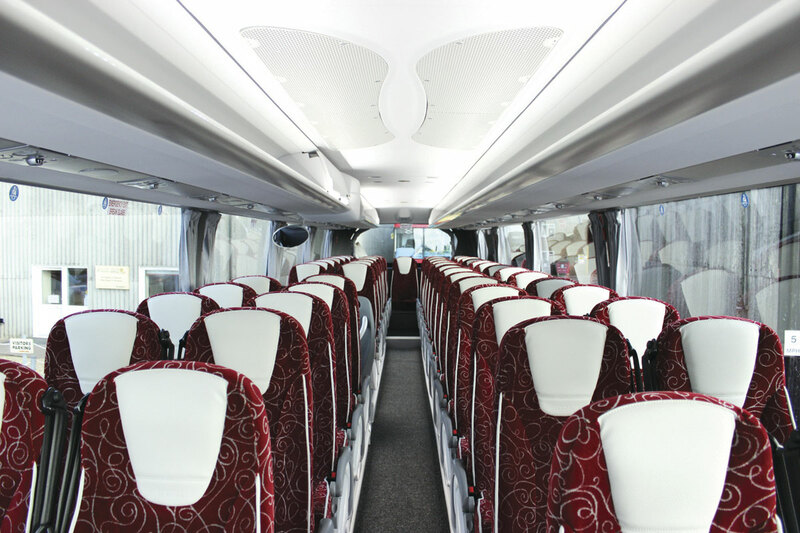 Whether they are mounted together or separately on the i6 depends on the length of the coach. 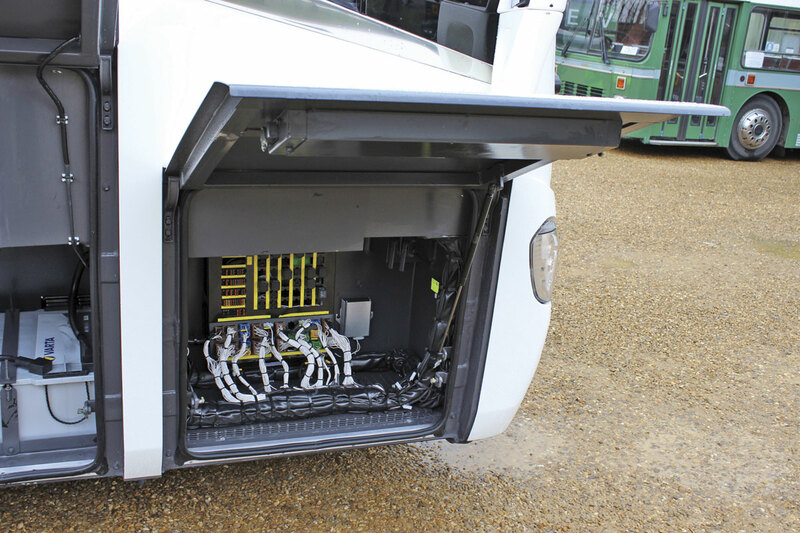 The PR265 used previously already had an SCR system so the need for AdBlue is nothing new for Irizar Integral customers. What has changed is the position of the AdBlue tanks and the length of the purge pipe which is reduced from 15m to 3.5m. It was previously located at the front beneath the driver but has now been moved to the nearside rear beneath the wheelarch cover to the rear of the axle. AdBlue tank capacity is 50-litres and the nearside fill diesel tank holds 480-litres. The challenge for Paccar was not only to ensure that the emissions matched the tough legal requirements, but also to see that the DPF operates at a temperature that enables regeneration – the burning off of the sooty materials collected. To maximise passive regeneration in the DPF, that is regeneration without the need for additional outside influence, the engine is set up to create high temperatures in the filter helped by encapsulation of the exhaust manifold and parts of the exhaust. If this does not occur and the DPF temperature remains too low and back pressure starts to increase, the engine will activate an active regeneration feature. This involves a seventh fuel injector that Paccar has added ahead of the filter, which will inject fuel into the catalytic converter to generate the temperature to trigger regeneration. The need for filter cleaning will depend on the type of work the coach is engaged on, with start stop city work clogging filters faster and motorway work creating less soot. Apparently in some truck applications, helped by low oil usage requirements, filter cleaning intervals of 500,000km can be achieved. If the filter does need cleaning, a light will illuminate on the display. Significantly, the method of mounting the engine has altered. 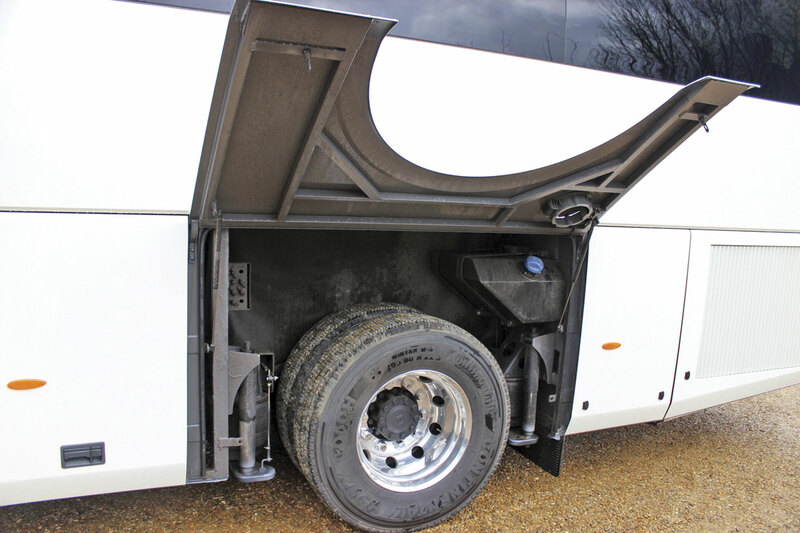 Building on its experience at Euro5, Irizar has worked hard to eliminate noise and vibration, developing a new mounting system for locating the power train module that involves ‘floating’ it on rubberised grommets. The solution appeared very effective at creating the desired enhancement to the passenger experience. 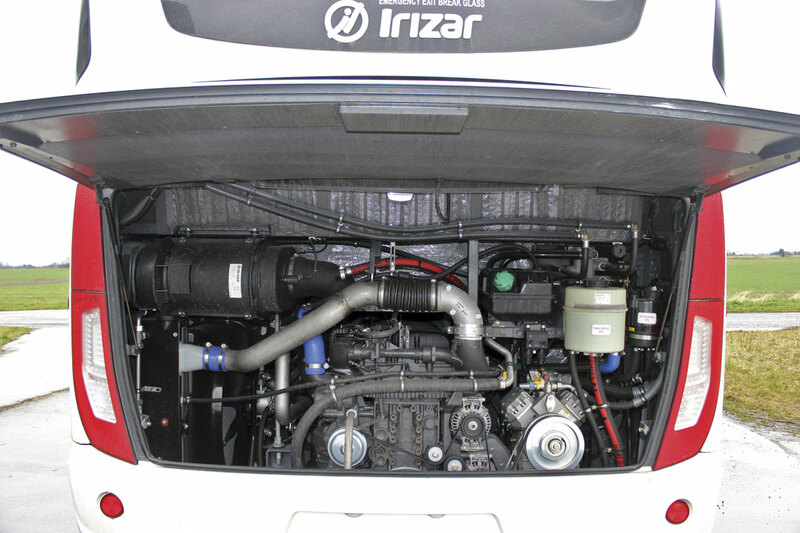 Aside from the engine, Irizar has chosen extensively from the ZF component catalogues in selecting the rest of the drivetrain for what is now its key coach model. The German firm supplies the steering system, the front RL75EC and rear AV132 axles, and the choice of either the fully automatic six-speed Ecolife with power intarder capable of maximum torque of 2,100Nm or the fully automatic automated manual 12-speed AS-Tronic which takes the torque capability all the way up to 2,700Nm, depending on engine option. Other key mechanical and safety critical components are: a WABCO suspension and braking system that includes ECAS, EBS, ABS/ASR and ESP systems; Sachs shock absorbers and air bellows, a Continental VDO-Kybes 24-volt multiplex electrical system; ventilated disc brakes; a Knorr Bremse TPMS tyre pressure monitoring system; and Alcoa BlueTag polished aluminium (optionally Durabright) wheels shod with Continental HSR2 295/80R tyres. The starter motor is 6.2kW and there are two 150Amp alternators. 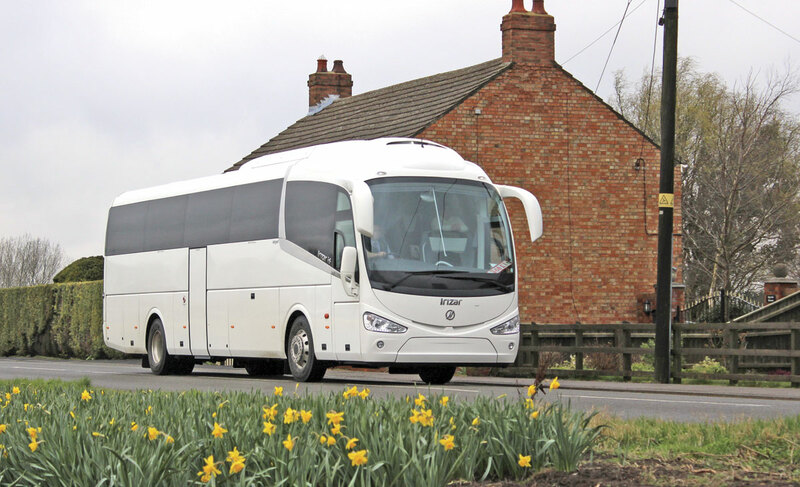 Of all the length variants offered by Irizar UK, the two-axle 12.92m i6 has proved the most popular to date because of the flexibility it brings, though it could be that this position is challenged when the 13.2m tri-axle i6 is launched. 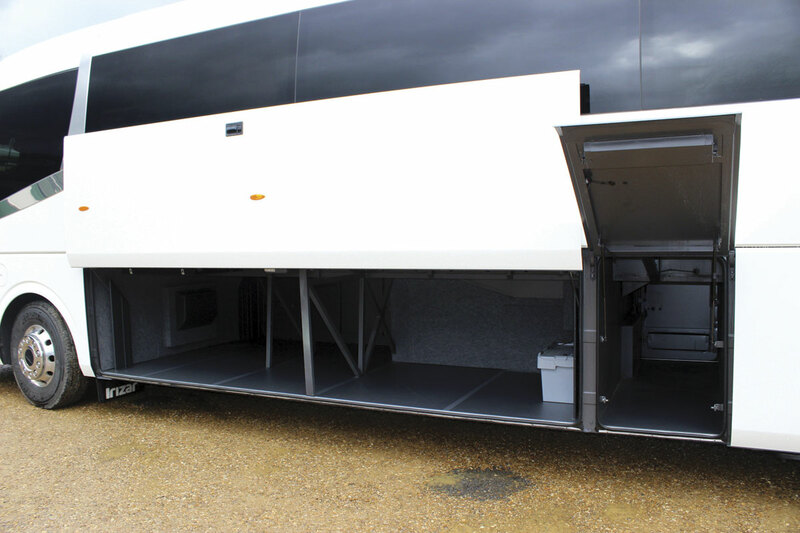 The 12.92m can accommodate 57 recliners plus driver and courier and a centre sunken toilet. In this configuration, the seat pitch is 730mm or longer on the nearside while on the offside it is 715mm up to the 900mm wide centre door and 704mm beyond it. 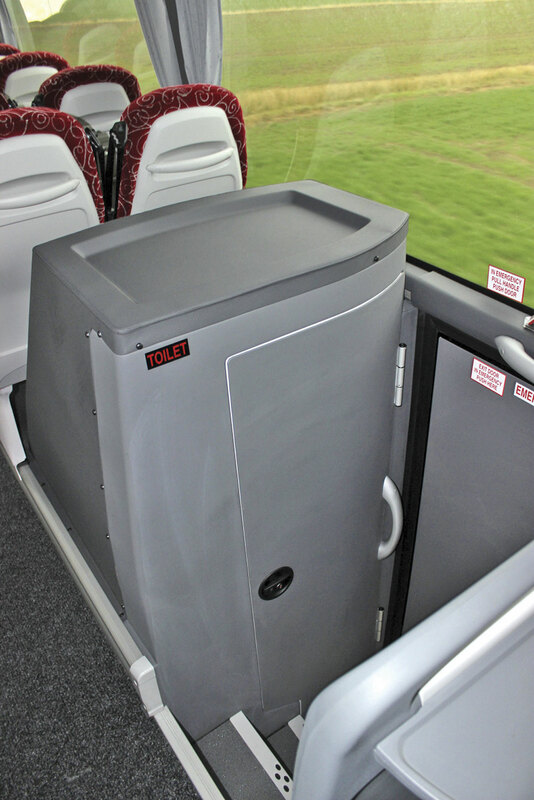 Alternatively, operators can choose to have 53 seats installed and increase the available legroom accordingly. The additional length compared with the 12.2m model is within the wheelbase which is 6,720mm. 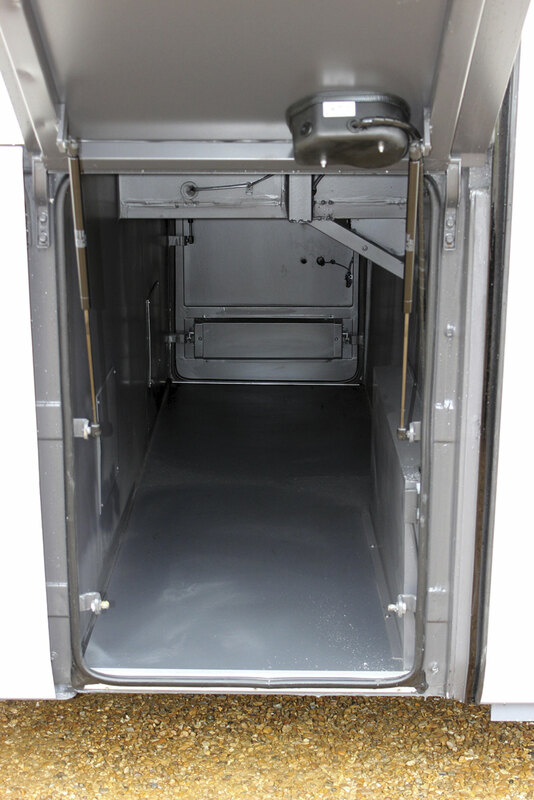 This creates a sizeable central luggage hold accessed via cantilevered luggage locker doors the capacity of which was said to be 10.7 cubic metres, though I have also seen a figure of 9.8 cubic metres mentioned on a brochure. Julie pointed out that there are changes planned for the locker arrangements on the next stock vehicles. 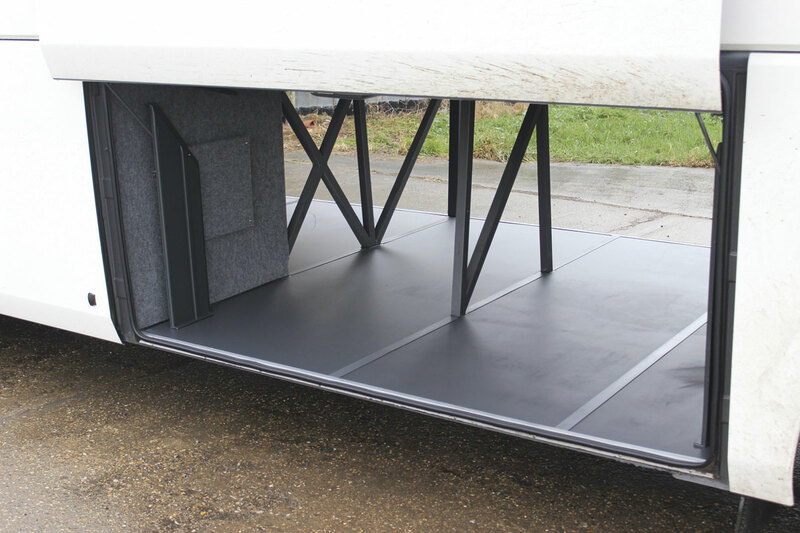 Instead of the small nearside locker door for the full width driver’s sleeping berth, with a long locker door ahead of it giving access to the main hold, the nearside lockers will become split units with two locker flaps of the same length rather than one long and one short. The partitioning currently installed to separate the bunk area will be removed to maximise the space available for luggage. 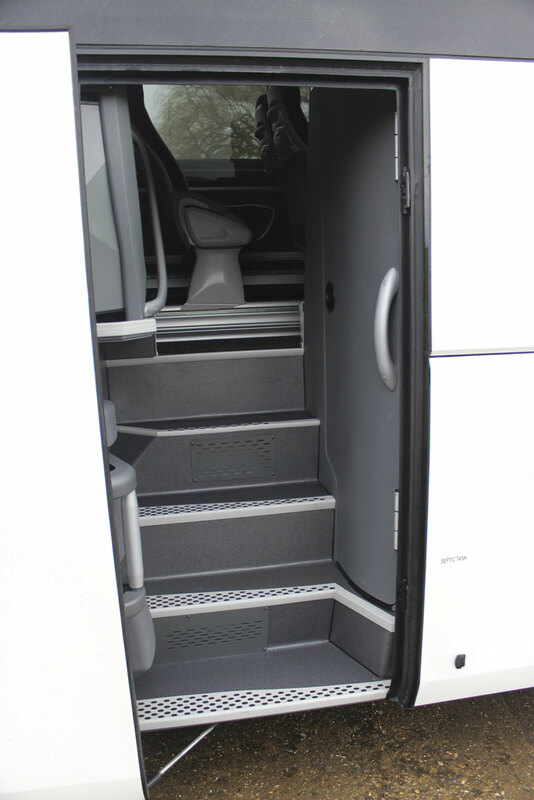 As an alternative to the i6 seat, operators can choose to have the more luxurious PB seat for around £4,000. A full range of accessories can be provided including seatback tables, leg rests, magazine holders, footrests, and side-slide, while trim can in full or partial real or synthetic leather, with or without felt effect trim to the rear and with various piping, wing and headrest options. A velour back is available on the PB seat. The seats installed were i6 units with three point external seatbelts, aisle side armrests, seat back tables, grab handles and folding tables. Trim was an attractive burgundy moquette with headrests and piping in synthetic leather. Not everyone will agree, but am always happier to see the driver and courier seats trimmed to match those in the saloon and this was the case. The driver’s seat is both air suspended and heated. 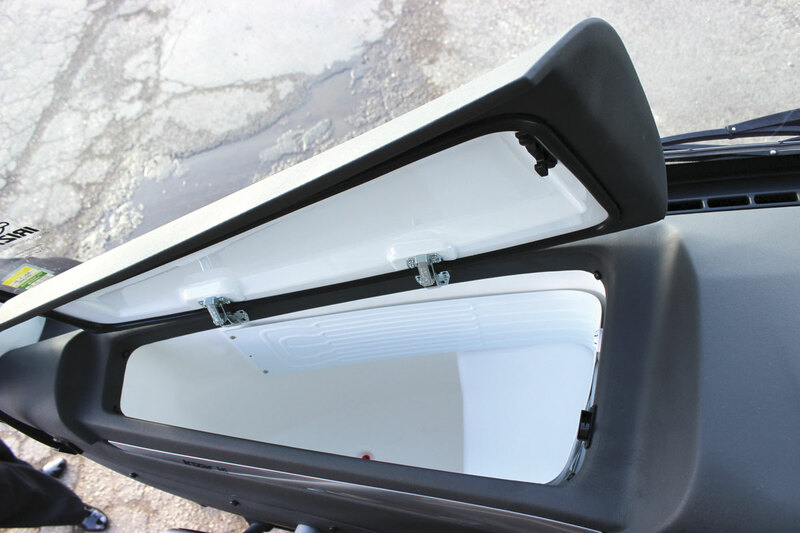 All interior lighting is LED and it is very effective, with a tasteful combination of concealed and rack edge lighting in addition to the individual units in the personal service units on the rack undersides. The racks themselves were not equipped with aircraft locker style lifting covers but can be for around £2,000. An unusual aspect of the coach was that it was equipped with black tint glazing which does make the interior rather dark without the lights on. In coach entertainment can be tailored to operator’s wishes. 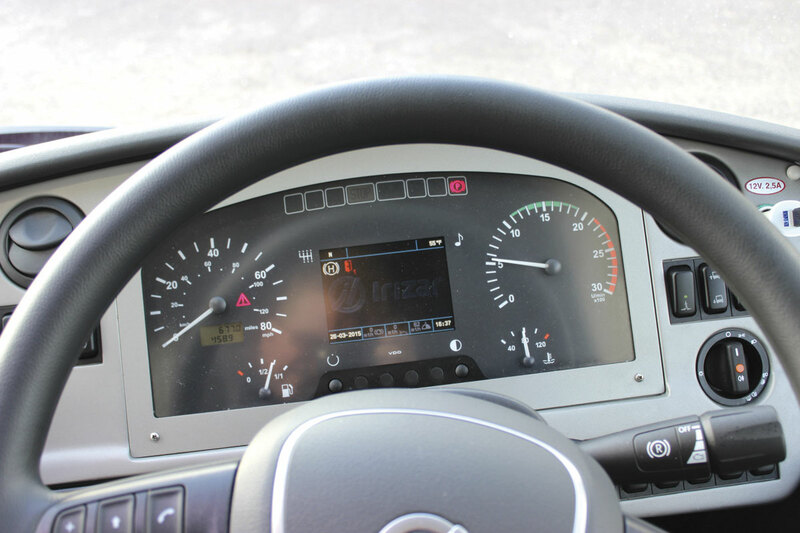 Our coach was equipped with a Bosch Classic line I unit with amplifier and radio CD, an Actia TFT 22” front monitor and 15” centre monitor, an Actia DVD with USB interface and an iPOD phone connector. 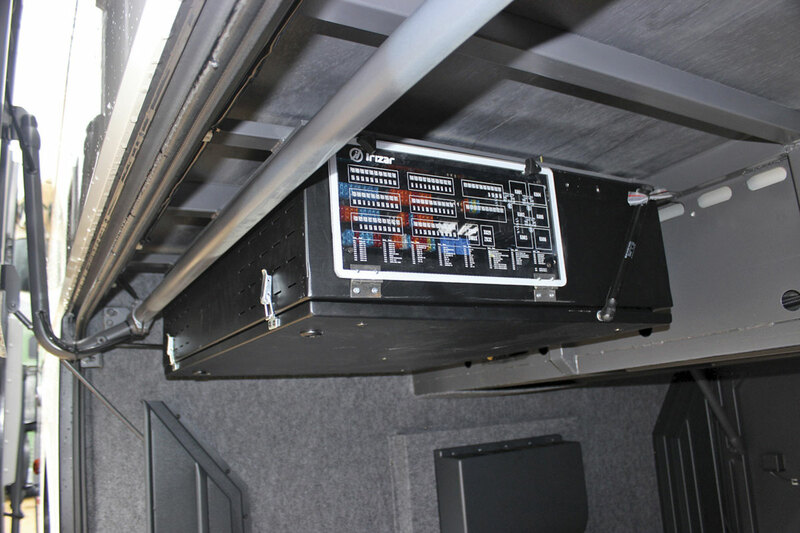 The Digitach was a Siemens VDO unit, which is the only option Irizar offers. 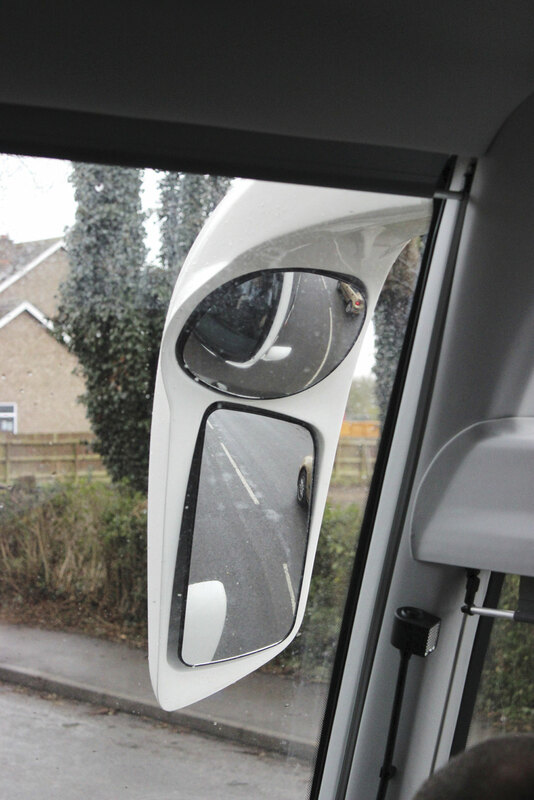 The crew are provided with flexible reading lamps and there is a third rear view mirror for the driver. As you would expect, Hispacold provided the roof mounted bizone climate control system which is matched with a Spheros pre-heater, and Masats manufacture the electric plug doors. Both Masats and Hispacold are members of the Irizar Group. It was always Irizar’s intention that the standard specification of the i6 would deliver all the elements necessary for a good touring coach but there are nevertheless a number of options available. 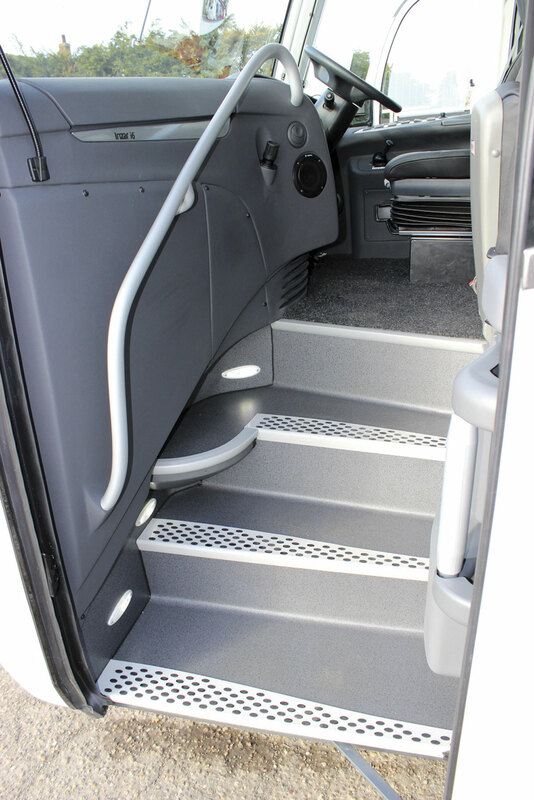 Everything that was possible at Euro5 remains an option at Euro6 and there are no additional standard options introduced that were not previously offered. 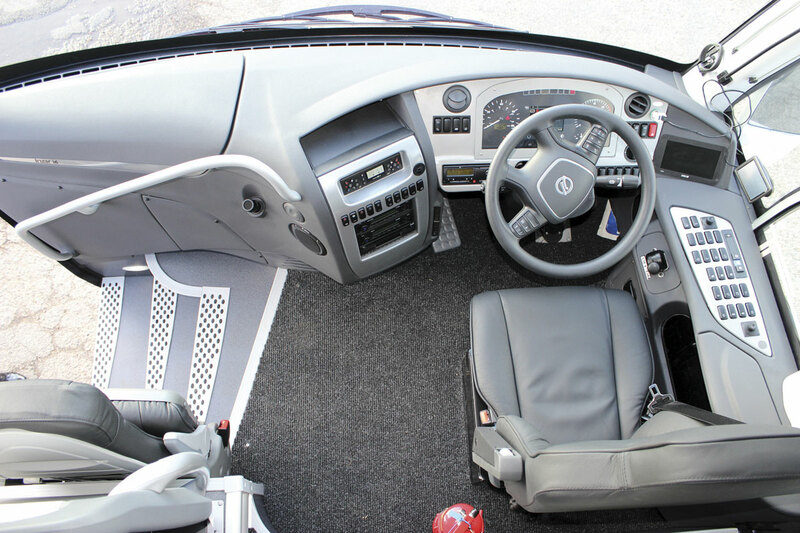 Choices include: a leather multifunction steering wheel; a multi CD changer; camera systems; a front heated windscreen; towing hook; a remote control alarm; alarmed security hammers; retractable security hammers; a driver’s bunk; disabled access; Wi-Fi; USBs; a third windscreen wiper; Frenzel kitchen equipment; destinations signs and many others. He also noted how low the wind noise was on a day when any susceptibility to this would have been evident. ‘Weight apart, the only thing I would not be entirely comfortable about with this coach is the support. I’d be very comfortable with the DAF part but we’ve had poor experience with the network locally. I’m used to a delivery from Spalding or Peterborough twice a day from Volvo, because there’s enough of them locally to make it worth the dealers while,’ said Andrew. During the evaluation, we called at Simon Dew’s Somersham premises where he had a look at the coach. He thought it well finished though there were concerns about how easy it would be to keep the light grey interior trim clean and also about what seemed to him to be a number of dirt traps, such as around the partially enclosed seat legs. Though he considered the toilet a comparatively spacious one, he was concerned by staff needing to get right round the back of the toilet bowl to clean the compartment out; ‘it should be flush at the back so that you can wash it out’, he said. He was disappointed with the seam on the trimming of the toilet top, although as Julie pointed out, she can’t remember supplying one that did not have a coffee machine, and the unit then comes with a profile that covers the top. He was relaxed about the DAF engine saying, ‘it’s in so many vehicles. We’ve run DAFs successfully for years’. Travelling on the coach I was able to take a closer look at the coach from a passenger perspective and the impression gained was a positive one with good ride quality. On the very first i6 integrals I encountered (left and drive) there was an issue with rear differential noise but this has been addressed and there is now no more noise from this area than on other coaches. Like other Euro6 powered models it is now very quiet indeed, with the reduced levels particularly evident at the rear where you might have expected them to be higher. There was a very slight vibration at tickover that I could not identify but this was not evident when on the road. Talking subsequently to the Irizar team they could not replicate it. I wasn’t that enamoured by the darkness of the black tint privacy glass which was too dark for my liking and would save the additional £500 cost of it by taking the normal dark tint in its place, though I can see the appeal for corporate work. No tint at all is an option. I’m fanatical about checking the comfort of coach back seats for users, particularly the corner seats, and though the i6 is better than the PB in this respect, I still found the shoulder room in the rearmost nearside seat was impeded, though the view wasn’t, while on the offside, the shoulder room seemed slightly better though you could only see half of the video monitor mounted mid way down the coach. Though I understand the practical advantages of having plastic seatbacks I have always thought they were the Achilles Heel of an otherwise excellent seat. You can have a softer material finish but not moquette, which as a passenger would be my choice. Julie Hartley explained that the Irizar UK approach to support was a multi-tiered one. Front line breakdown service is through DAF-ITS, the successor to DAF Aid. ‘Generally, any driveline issues are sorted out by the DAF network in the UK and Europe,’ she said. 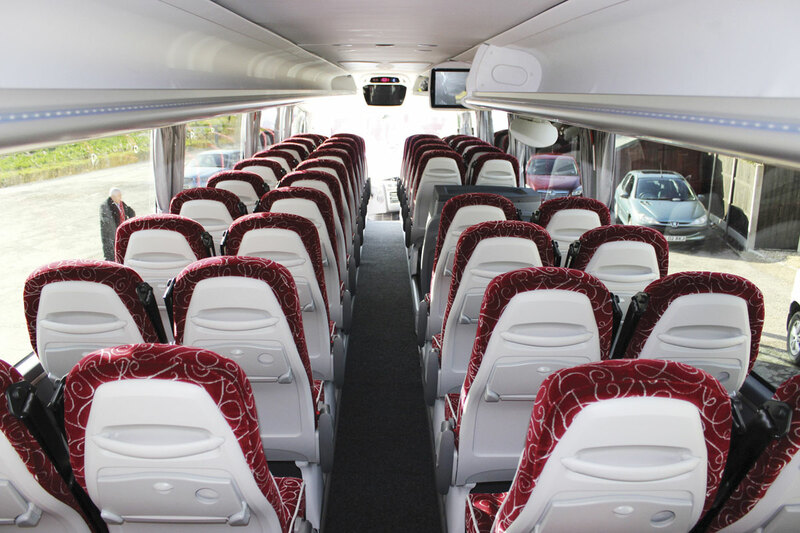 Customers buying a new coach from Irizar UK get two breakdown numbers, the first being ITS (which is also known as DAF Aid in the UK) and the second is Irizar UK’s. ‘If you have a problem in the UK you ring us and we mobilise one of our third party coach specialist repairers.’ In addition, Irizar has its own Mobile Technician, Darren Bradshaw, and two more individuals are currently being recruited to fulfil similar roles. 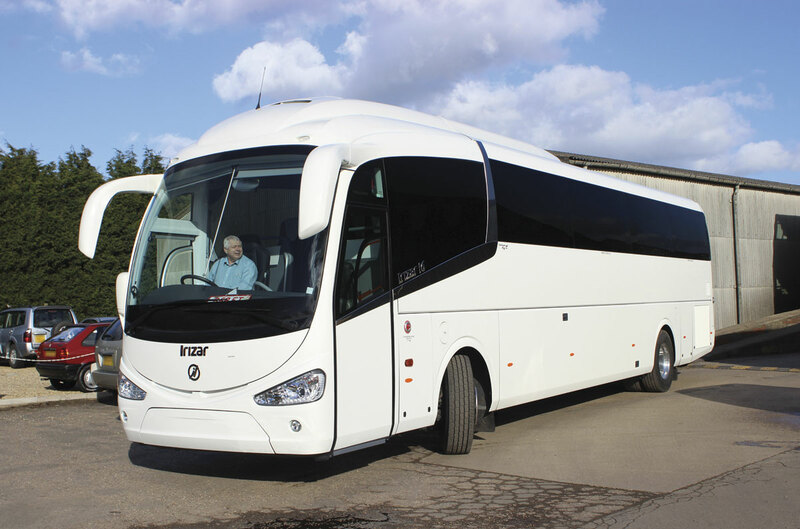 Irizar UK has continued to major on Euro5 until recently but it is no longer possible to purchase the earlier generation product and all future deliveries will be to Euro6 standard. A number of Euro6 equipped i6 Integrals have already been delivered to Ellisons of St Helens, which has switched to the Irizar Integral brand having previously bought Neoplan predominantly. 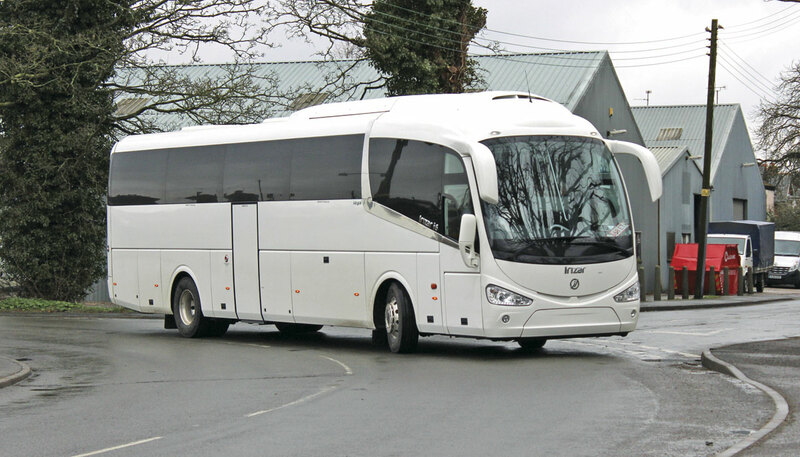 Glenshane Coaches have ordered a 12.9m Euro6 i6 Integral with 53 seats that will be the very first of the type in Northern Ireland. 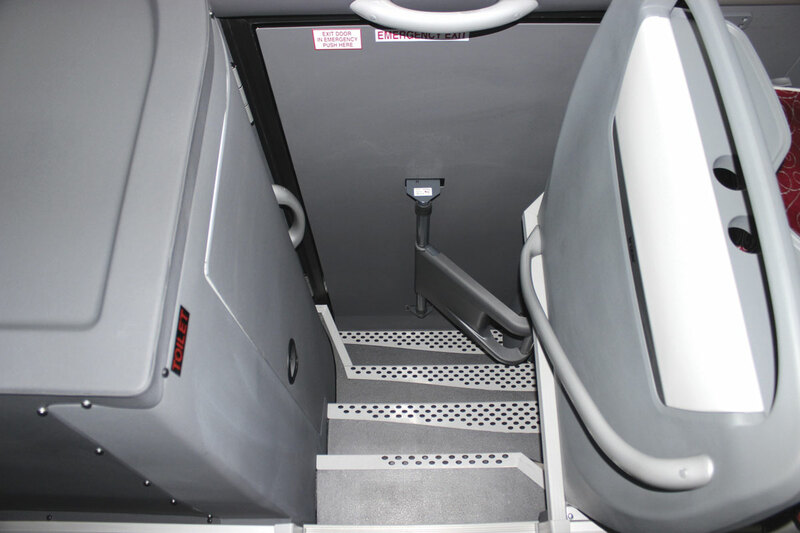 It will feature automatic transmission, as will two 57 seaters for Dartline. 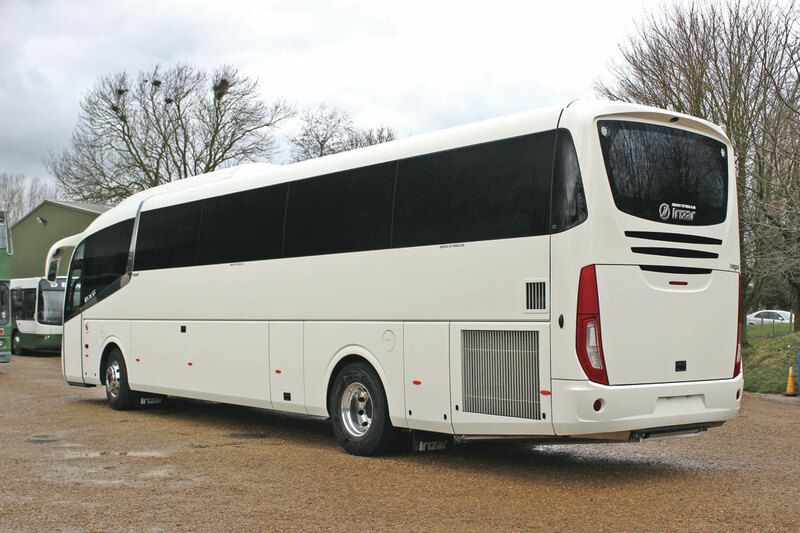 Another operator opting for the 12.9m length and Euro6 is Chandlers Coaches, although theirs will have an AS-Tronic gearbox and 53 seats, while Barnes Coaches are to take the same transmission in a 57 seater. 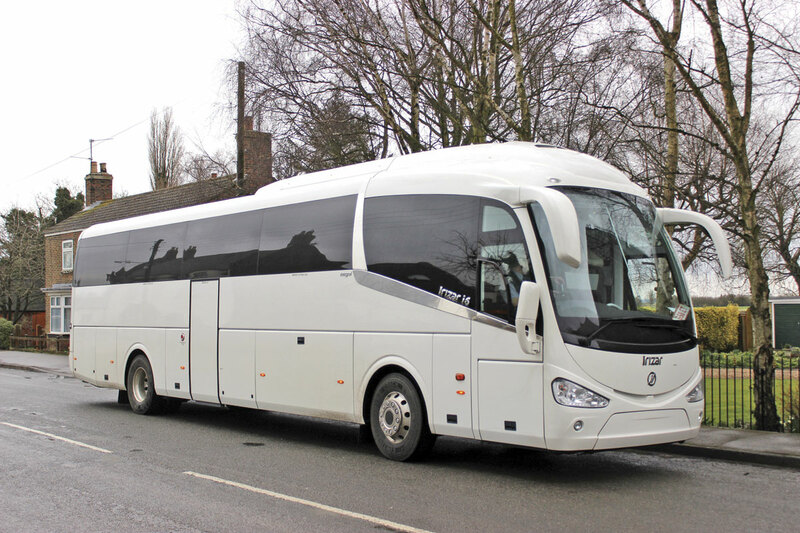 Customers for the last of the Euro5 i6s include: Prospect of the West Midlands, who will take a 57 seater; A.C.Williams of Ancaster who are taking a pair of 57 seaters and Keith’s Coaches who have also opted for a pair of 57 seaters. To the specification tested, the retail price would be £245,000. Opting for ZF’s AS-Tronic automated transmission rather than the EcoLife fully automatic unit, which is the more popular gearbox at this length, would shave £4,000 off that figure. On the other hand, upgrading to PB standard seats would add around £4,000 to the price and the extra dark tinted glass option costs around £500 to specify. 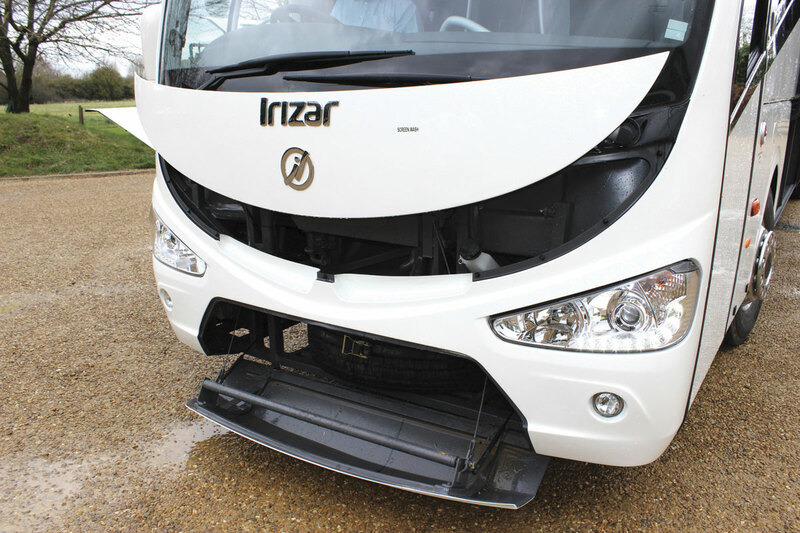 Euro6 may have been a long time coming for Irizar compared with some of Europe’s larger truck linked manufacturers but, apart from the increase in price that the extra technology brings with it, the transition should be virtually seamless for operators. Irizar has taken the opportunity to refine the i6 as well as switching to the latest generations which means enhanced ride and noise characteristics for passengers and crew, though in all other respects the body and the options with it are the same as on the very successful Euro5 version. The 57-seat and toilet combination is pretty much the most flexible one available at present, without the complication and second life issues associated with tri-axles, and though weight is something that has to be watched with it, it shouldn’t be that long before we get an extra 1.5 tonnes to use. Overall, all the factors that made the i6 a competitive product at Euro5 appear to have been retained or enhanced at Euro6.